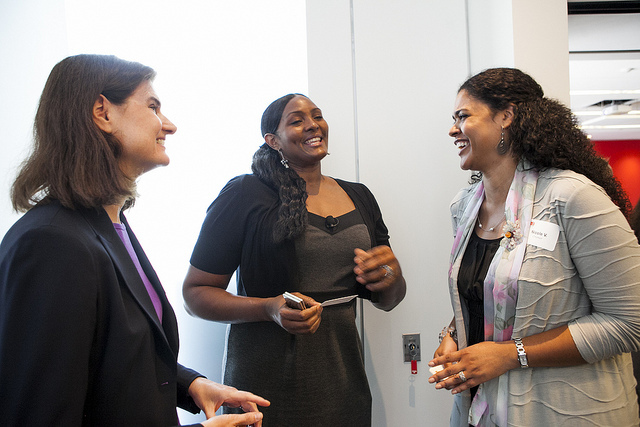 #NGNDay: Bring business cards and don’t be shy about handing them out! Jordana Gilman is an NGN Day veteran, enthusiast, and success story. A first year medical student at SUNY Upstate Medical University, she attended her first NGN Day in her home city of Rochester, NY two years ago. “Although the event in NYC is very appealing, I love that I can network with people in my area while live-streaming the NYC event,” said Jordana, who returned to NGN Day in 2014 and is attending once again this year. Though she gleaned many words of wisdom from the panelists, Jordana also learned about the power of mentoring through NGN Day. “NGN Day and The New Agenda have made me confident in seeking out mentors and have taught me how to keep the mentee-mentor relationship flourishing,” she said. This year, Jordana will be in Rochester for her third time running. She is especially excited about watching panelist Hannah Storm, with whom she “participated in the Twitter party this past week.” “It was so cool that she responded to my tweet! I feel like I have a connection with a celebrity. I’m hoping to hear more of her story and how she made it in such a male-dominated field,” Jordana said.